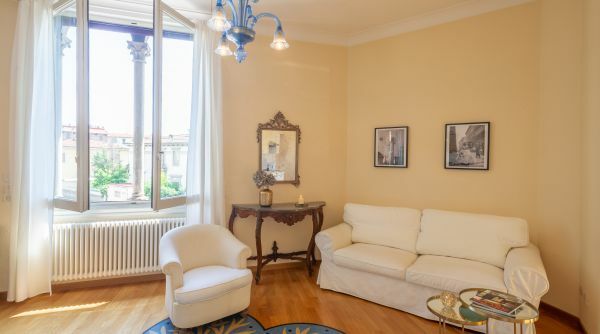 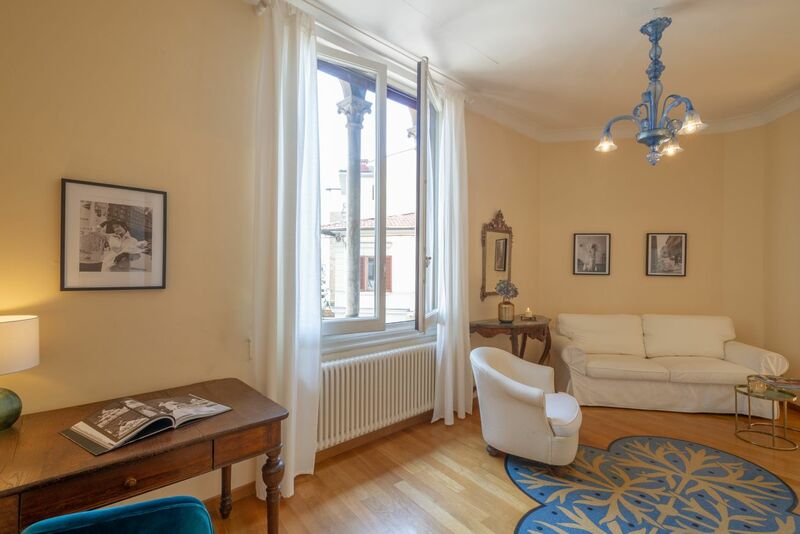 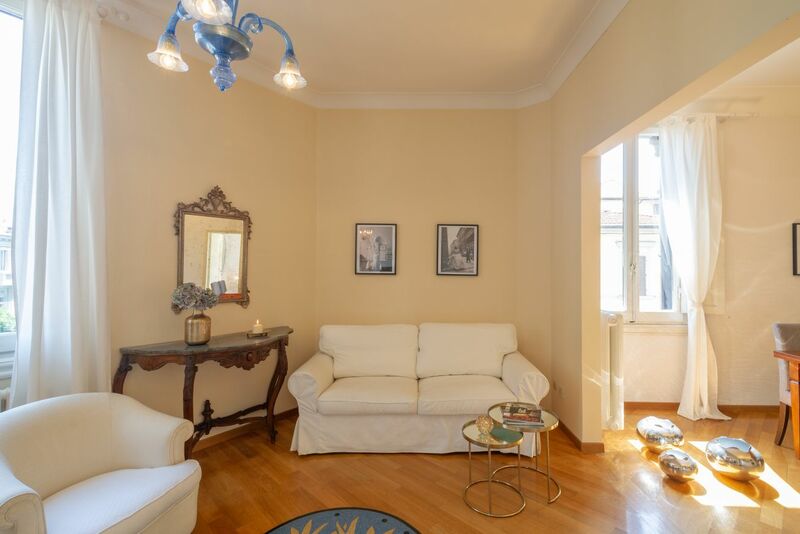 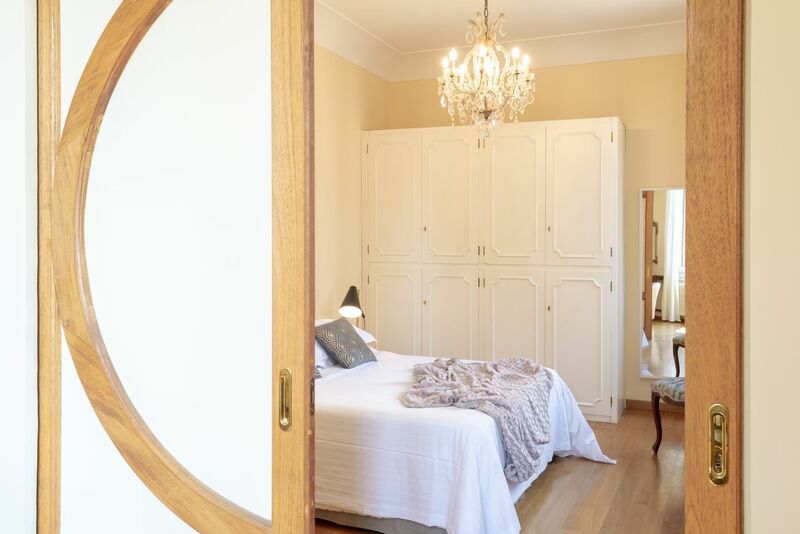 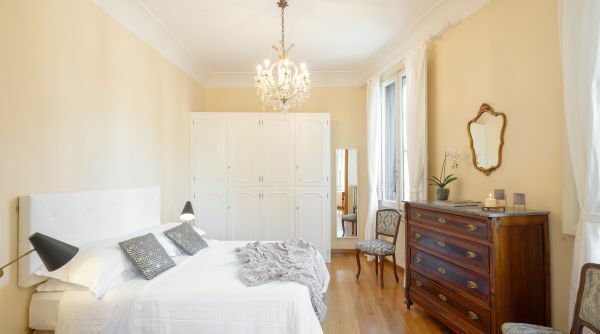 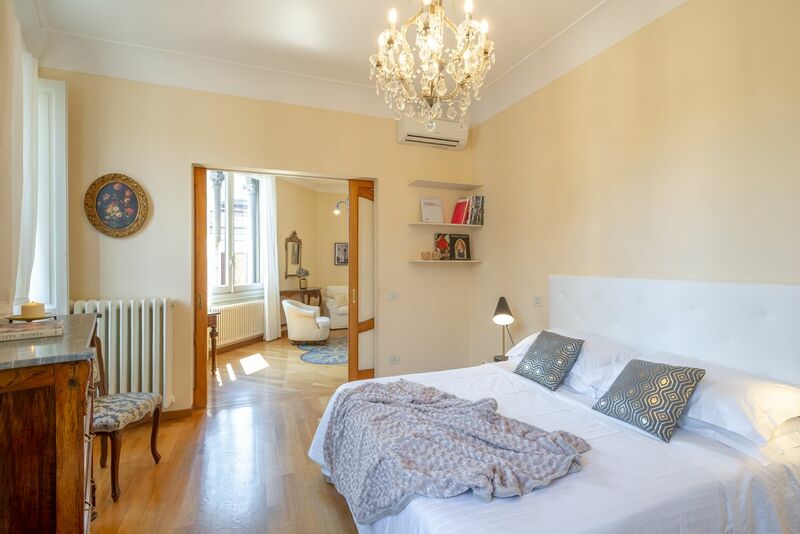 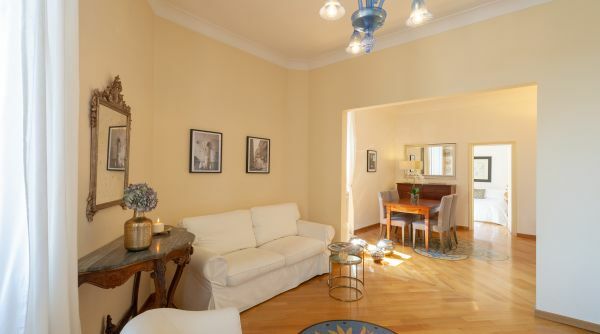 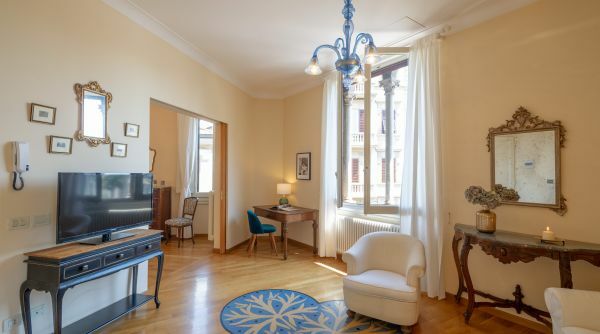 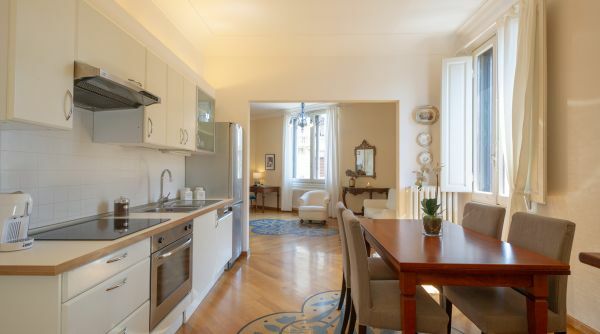 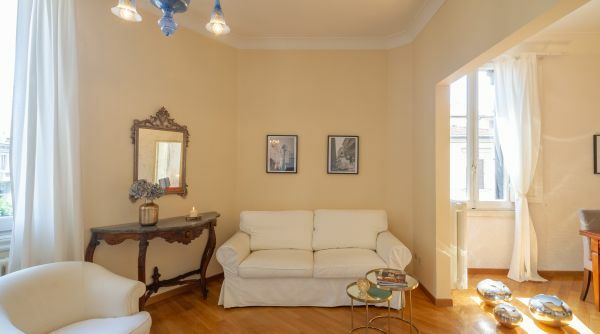 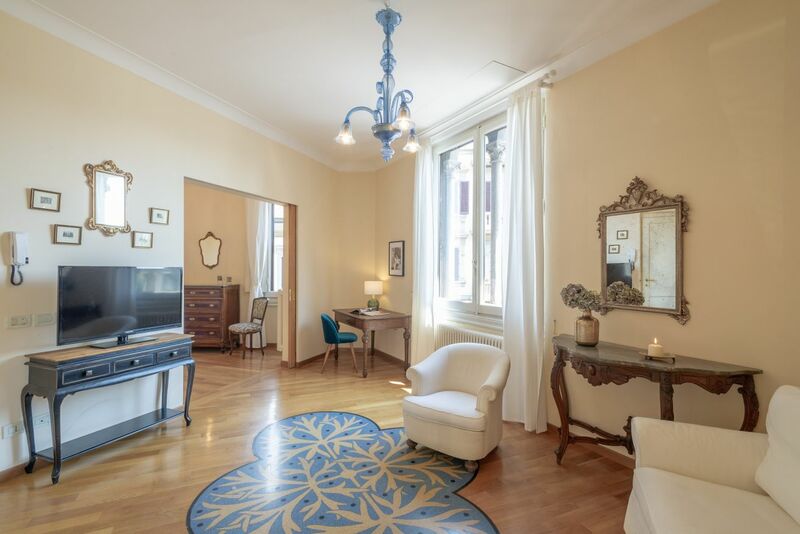 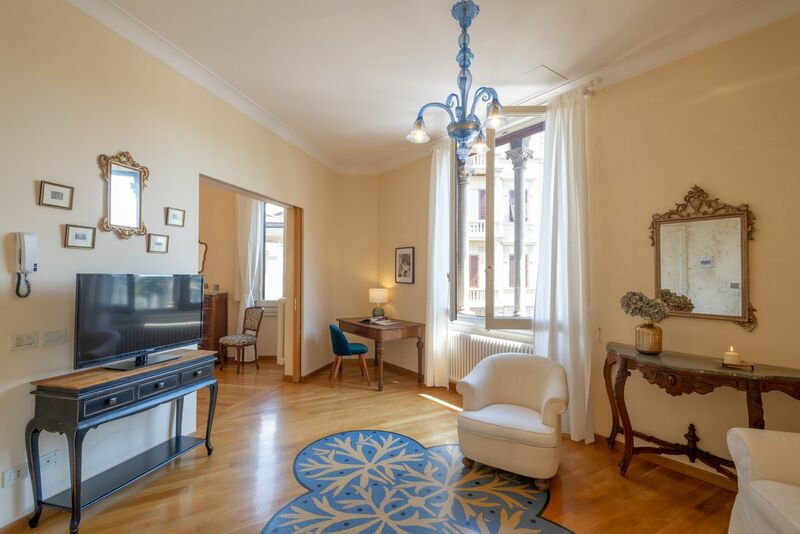 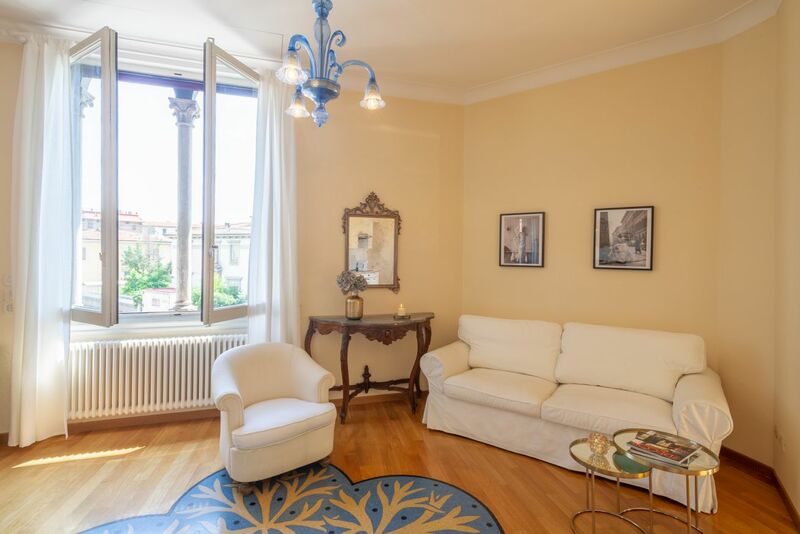 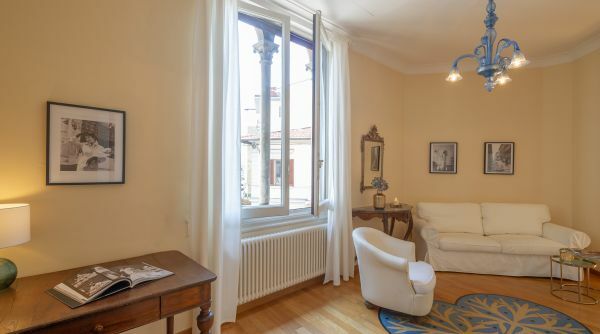 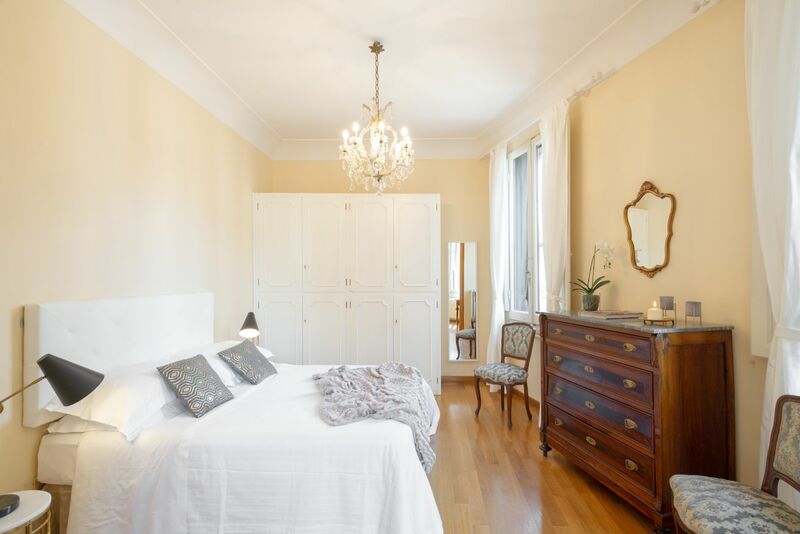 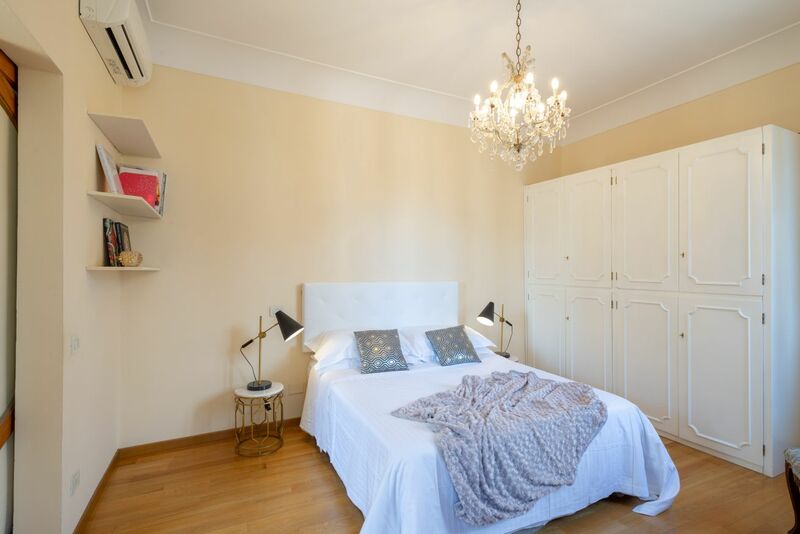 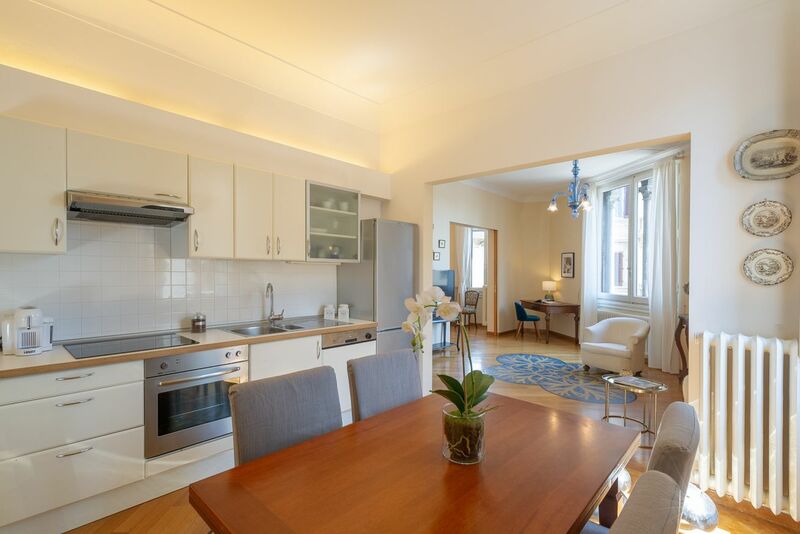 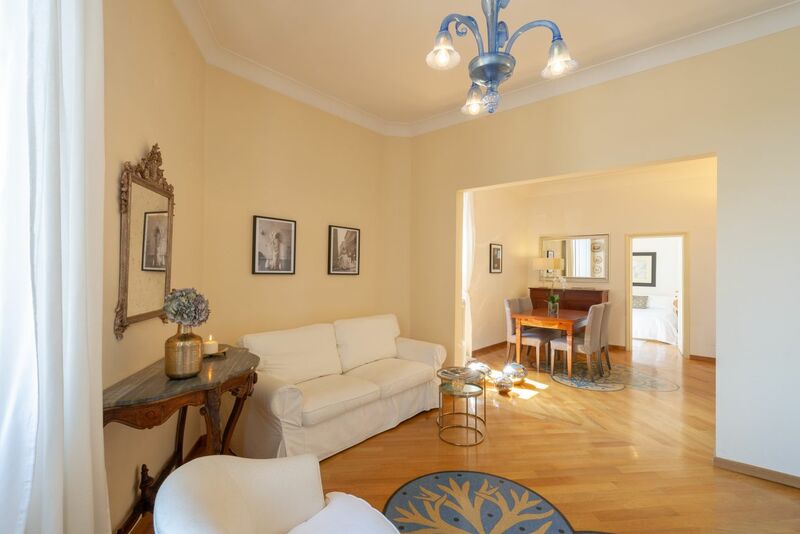 Apartment in a noble Art Nouveau building from the beginning of the 20th century, a few steps from the characteristic Via Gioberti, a neighborhood where you can experience true Florentine style. 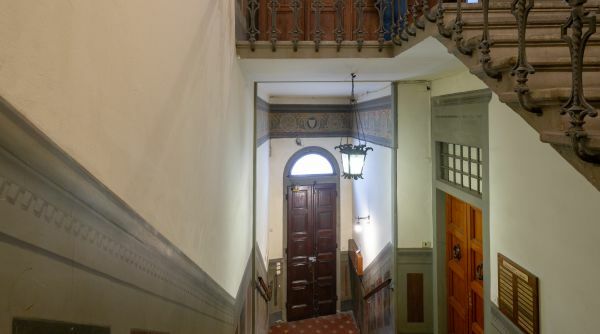 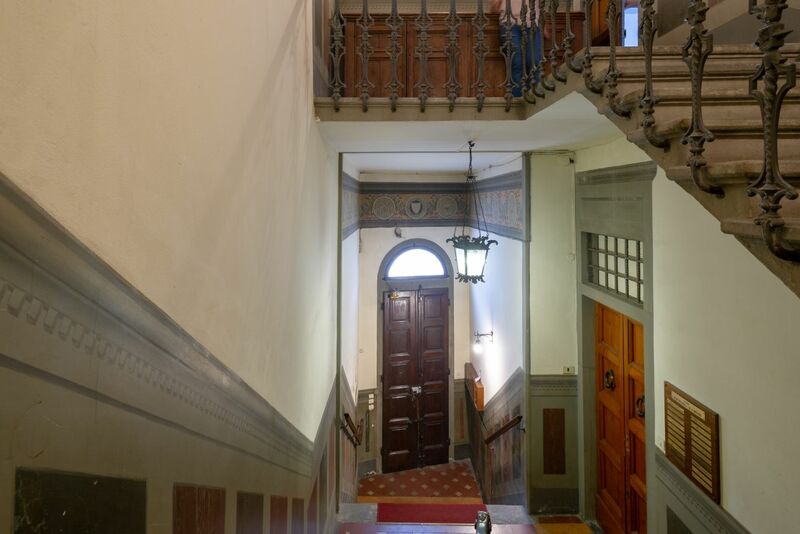 The apartment is on the first floor (main floor) and is accessed by an impressive stone staircase with frescoes. 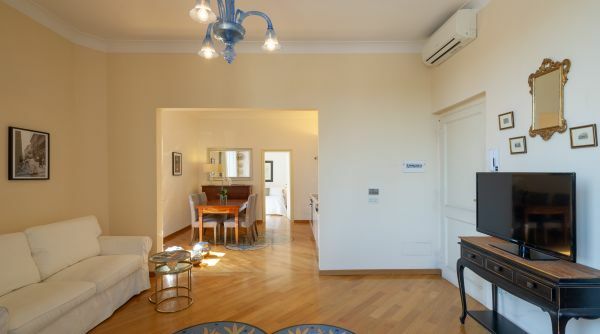 The entrance opens onto an open space consisting of a living room with a sofa and a flat-screen TV and a well-equipped kitchen with a table for 4/6 people. 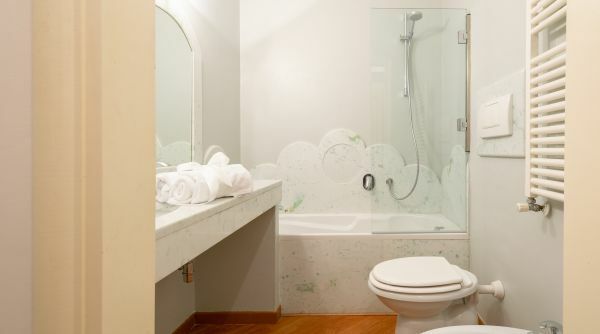 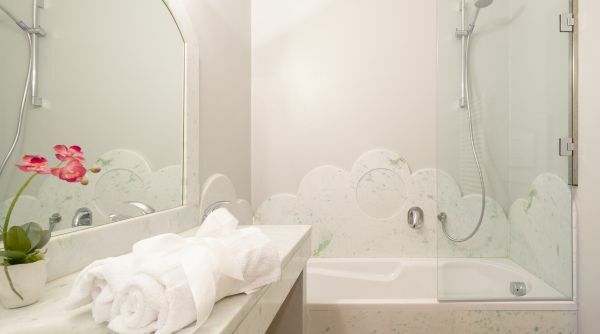 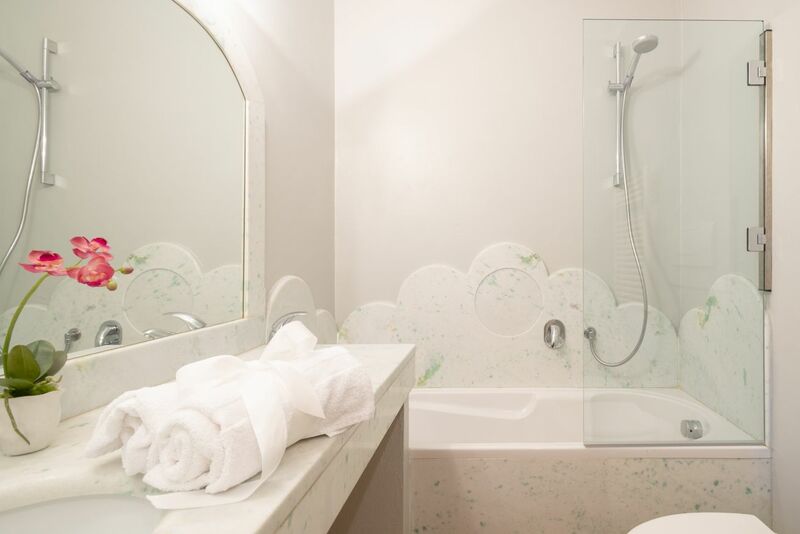 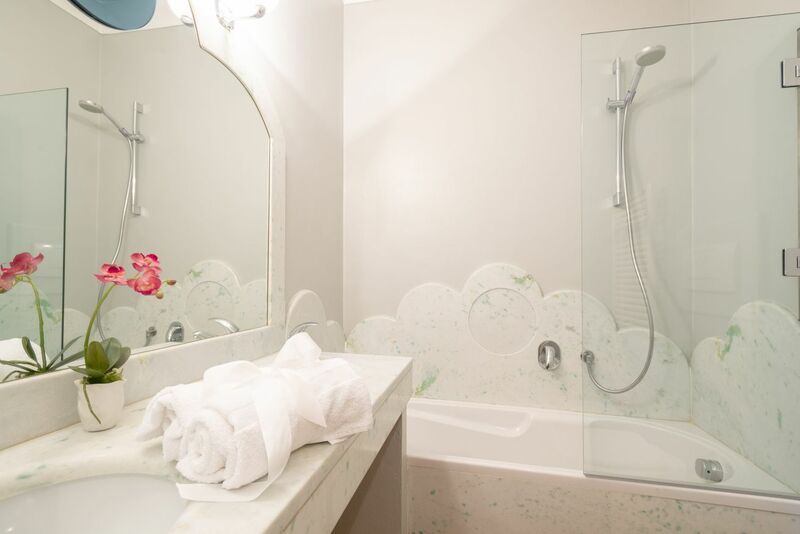 The bathroom has a bathtub with a shower. 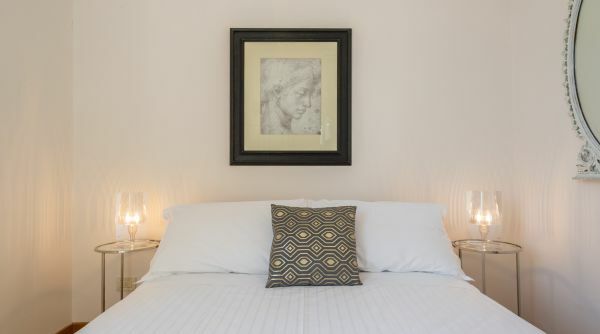 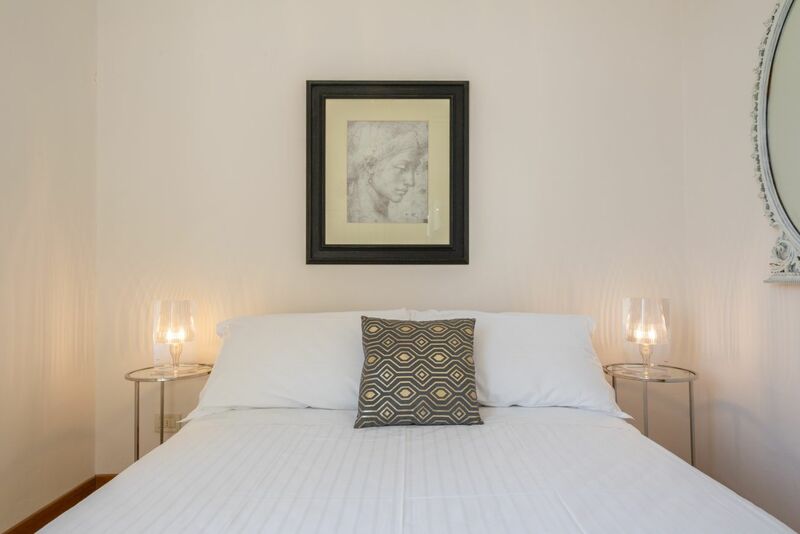 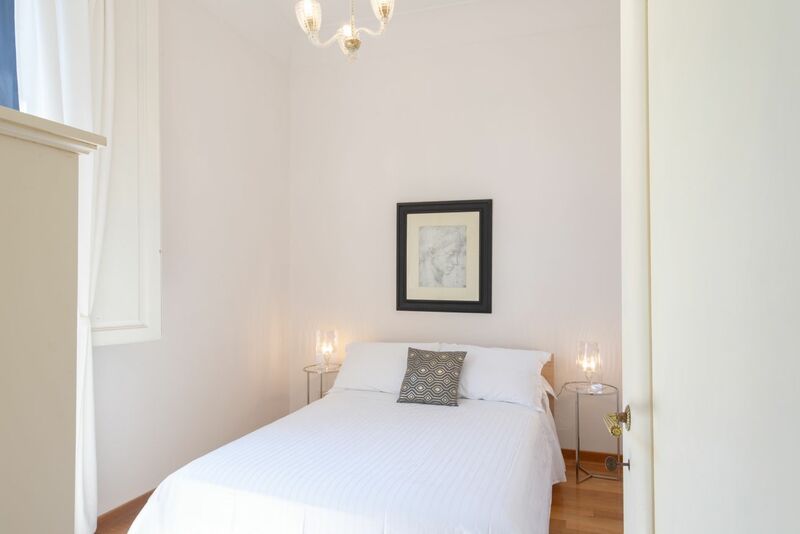 The master bedroom, with natural light coming from the two windows, is equipped with a double bed. 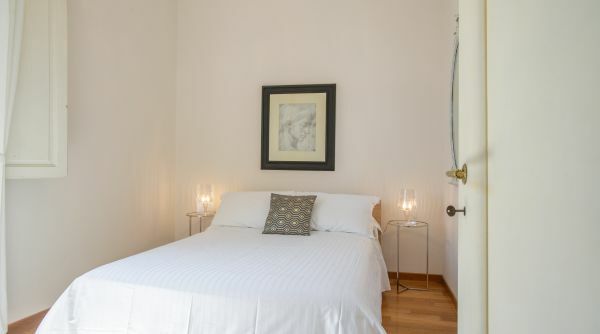 The second bedroom has a French bed and offers a lot of privacy. 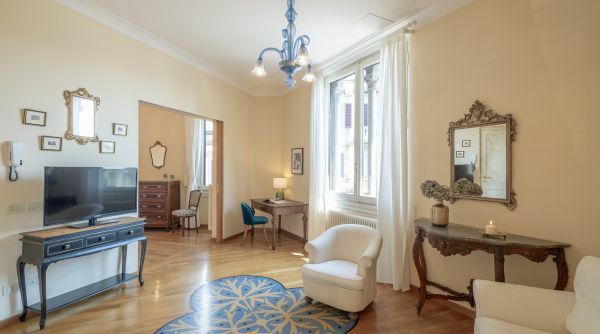 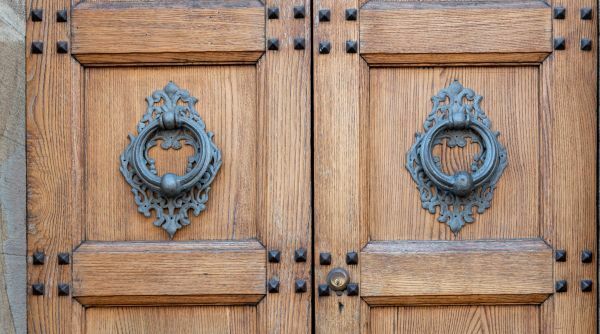 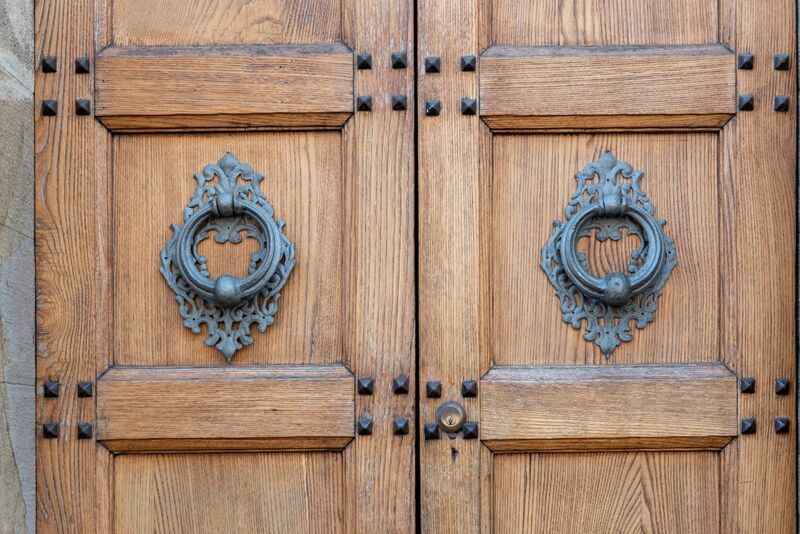 One of the features of this property is the Windows traditional embellishment in marble. 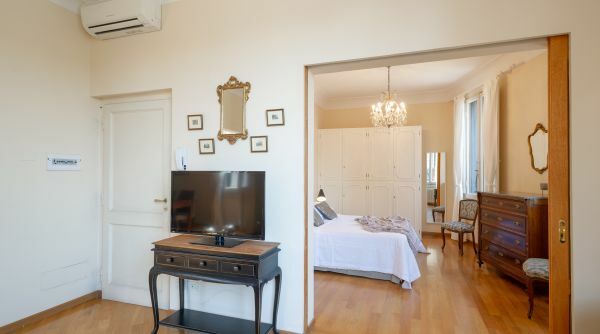 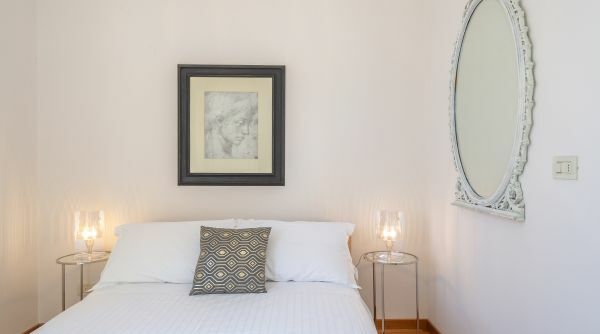 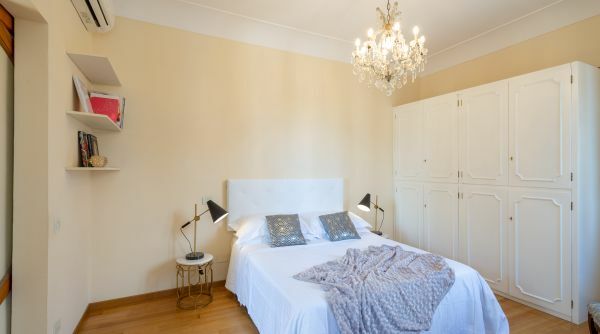 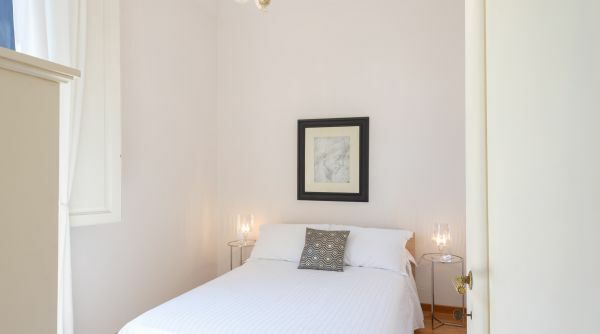 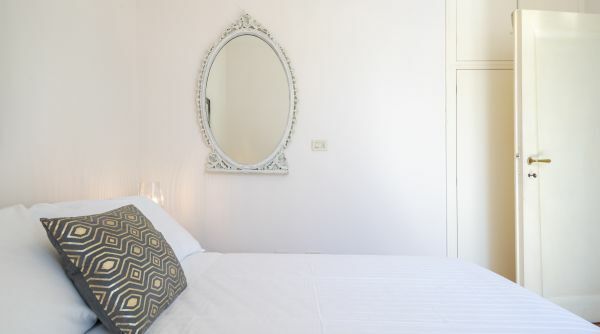 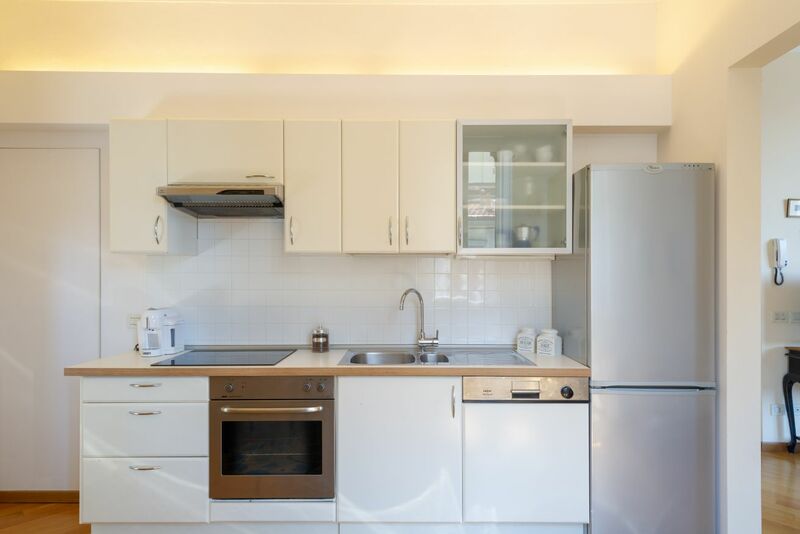 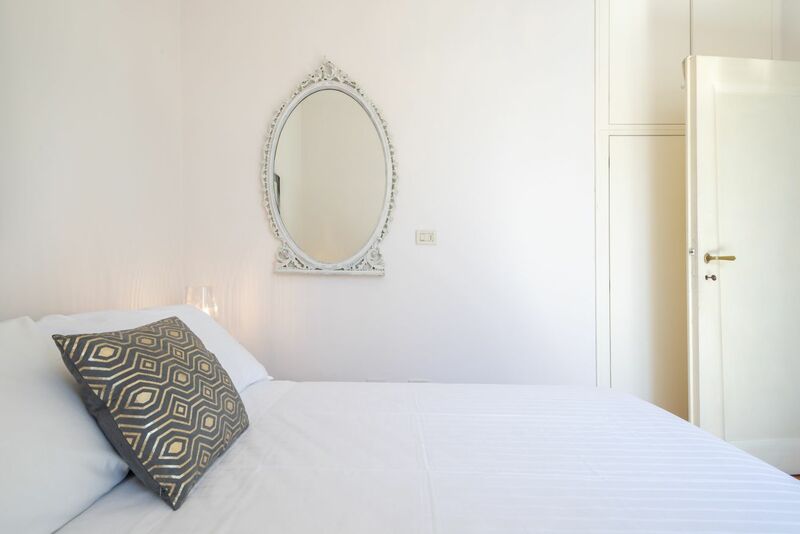 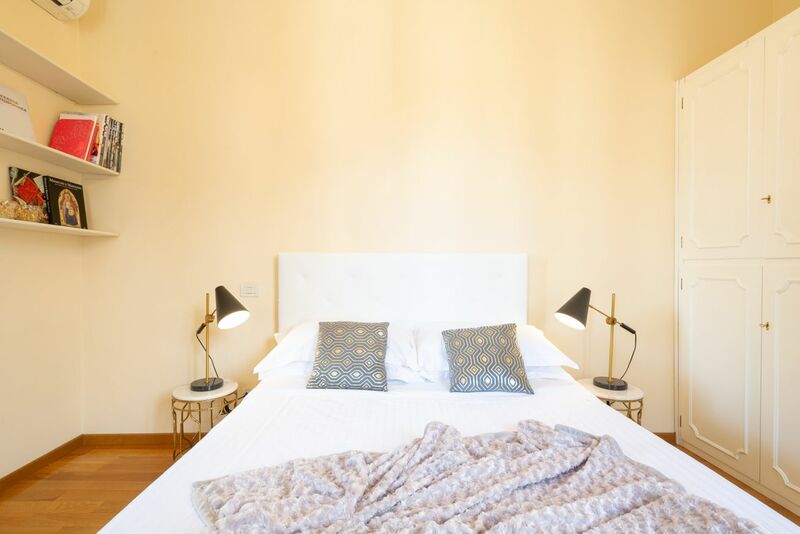 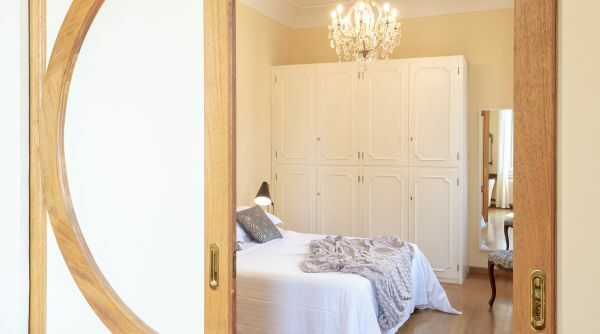 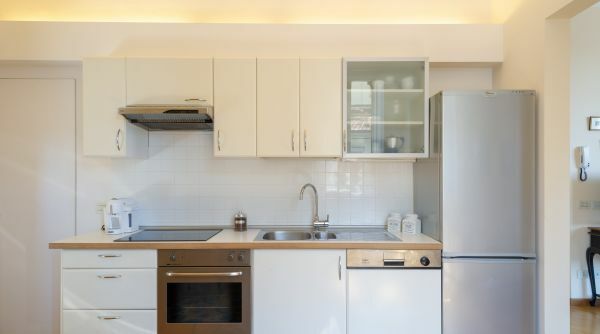 The apartment is equipped with all comforts: air conditioning, independent heating system, wi-fi internet, washer-dryer, TV, dishwasher, among other appliances. 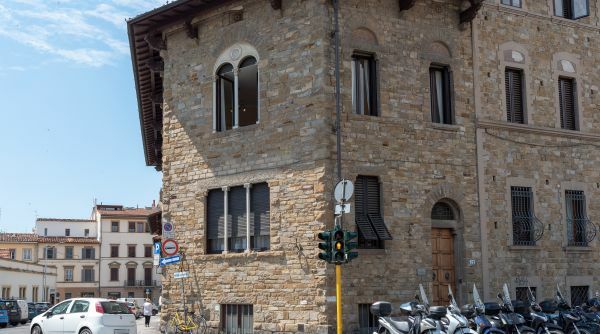 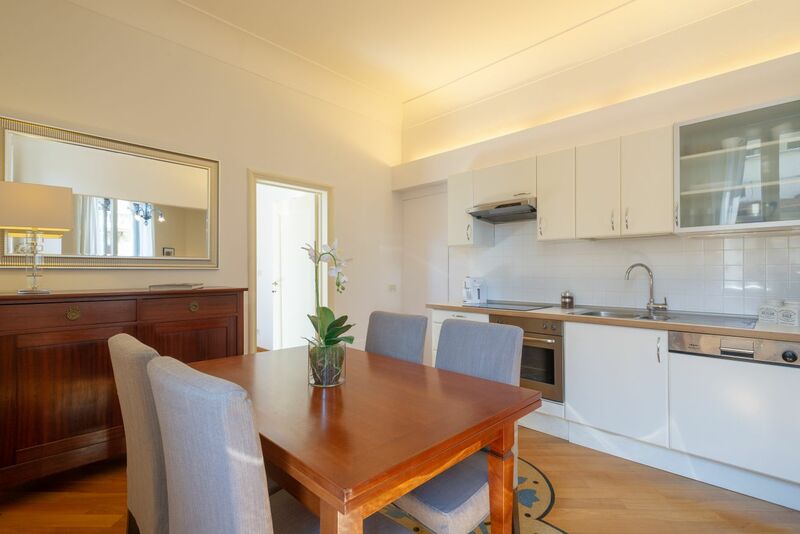 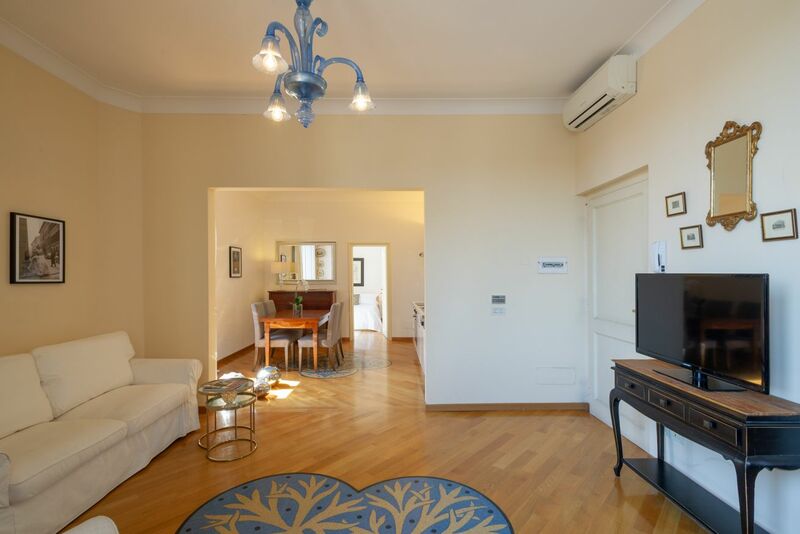 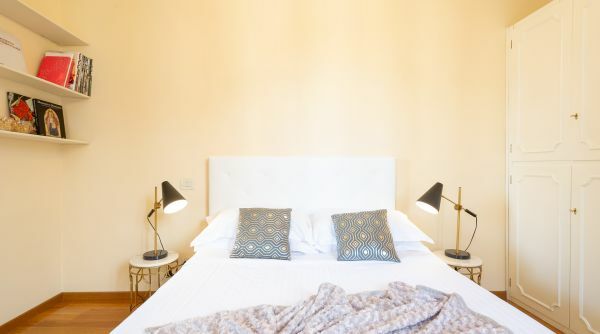 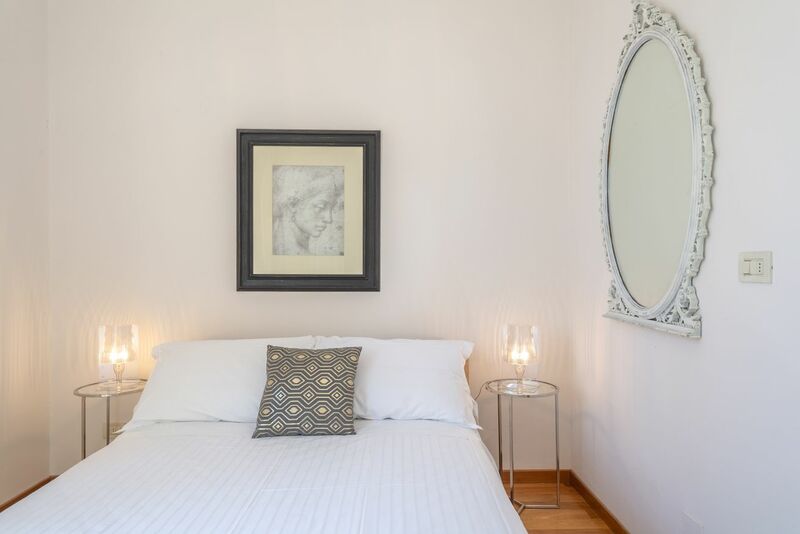 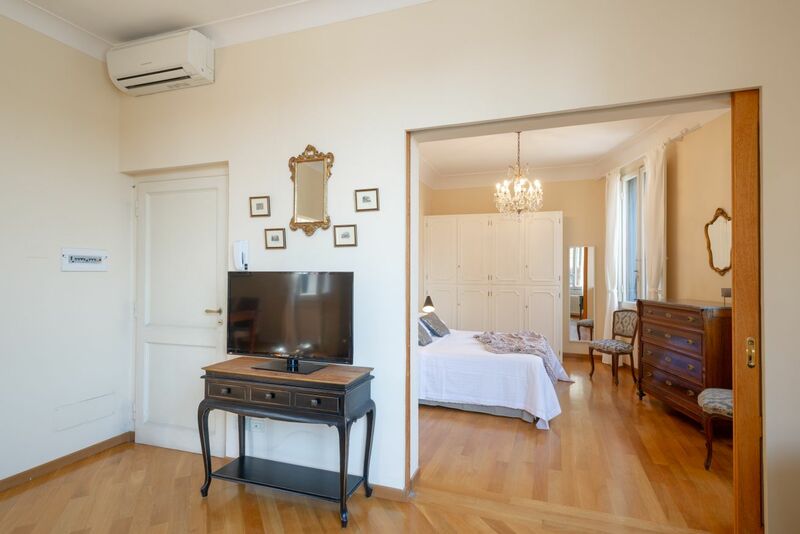 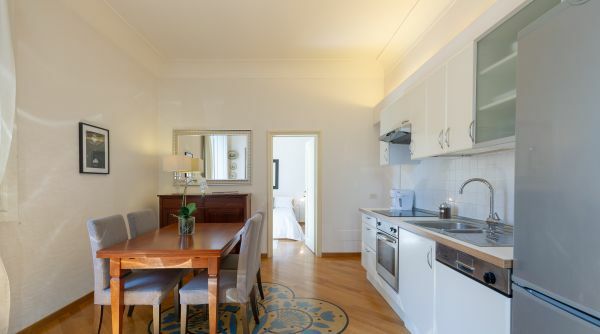 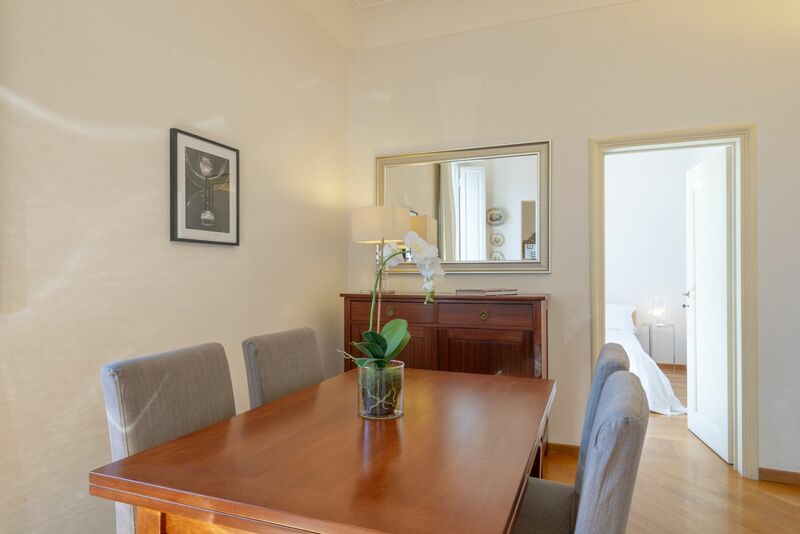 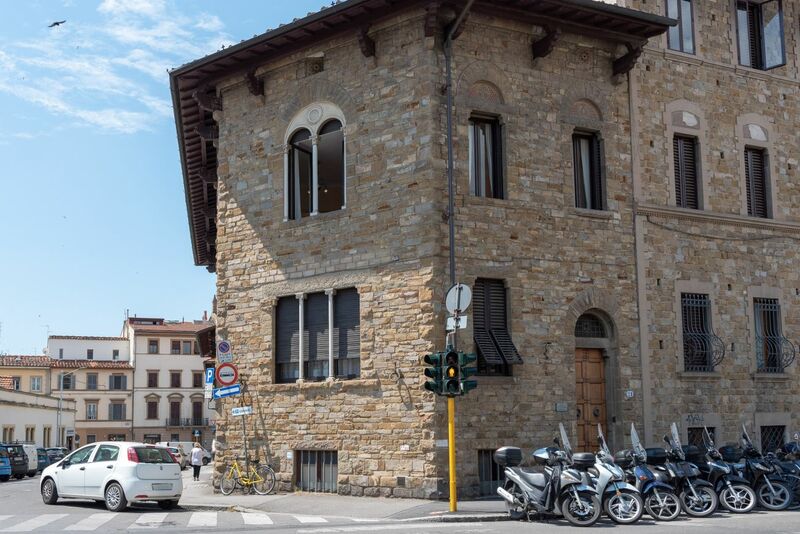 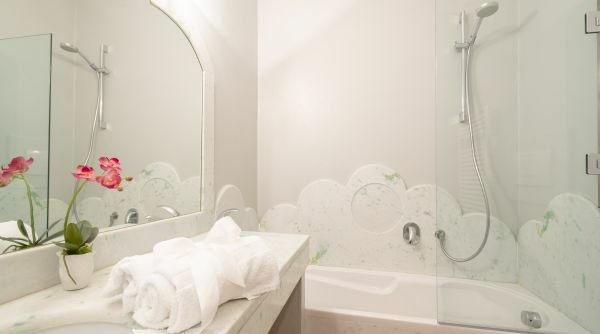 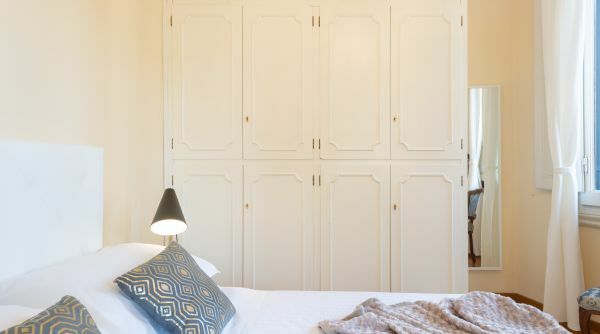 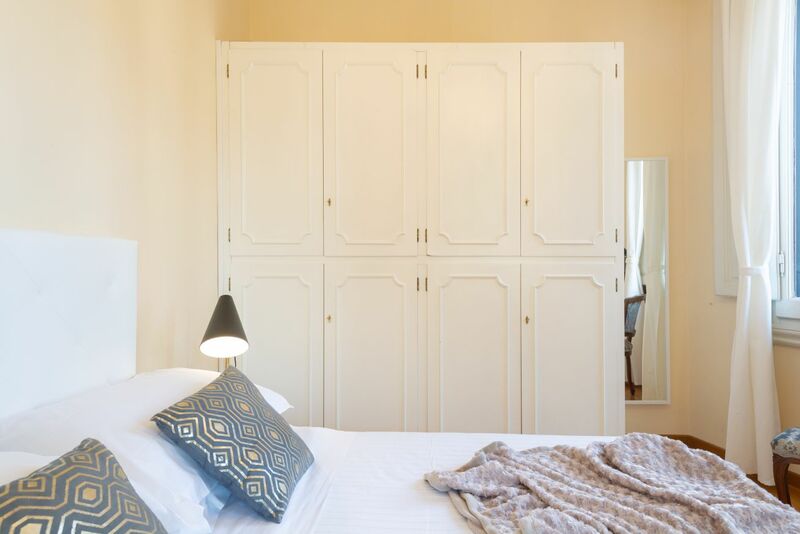 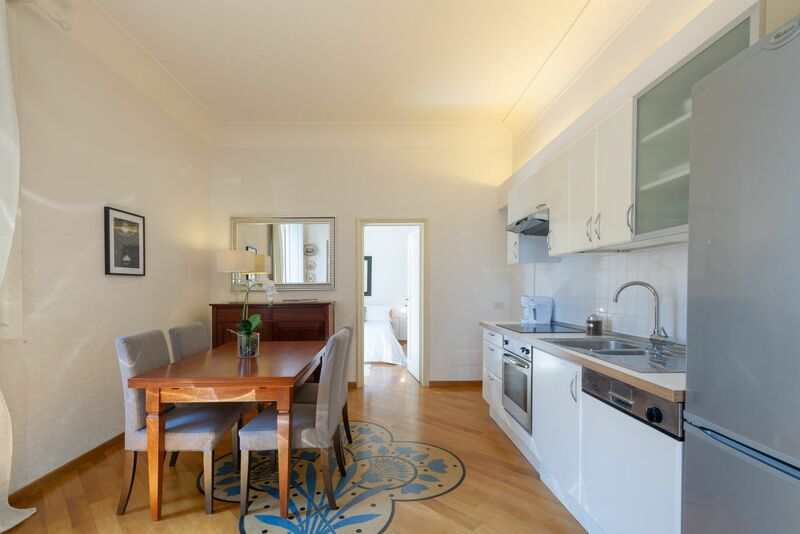 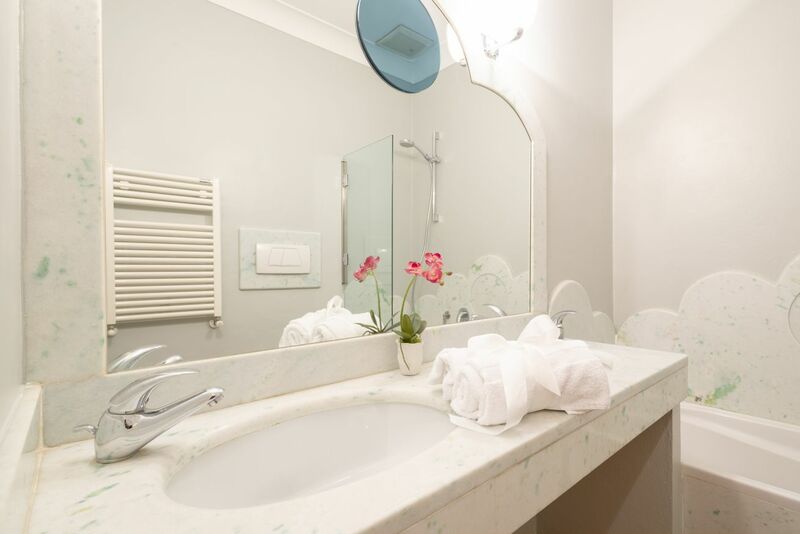 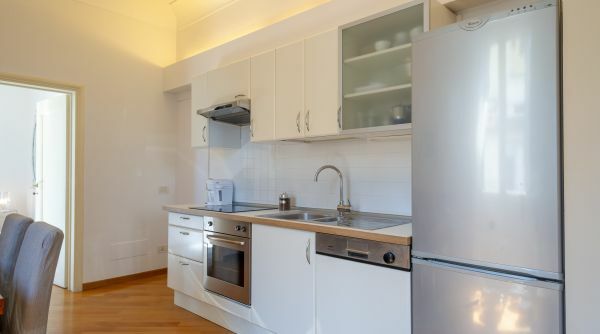 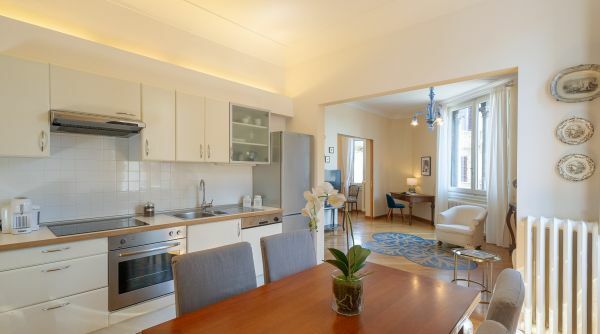 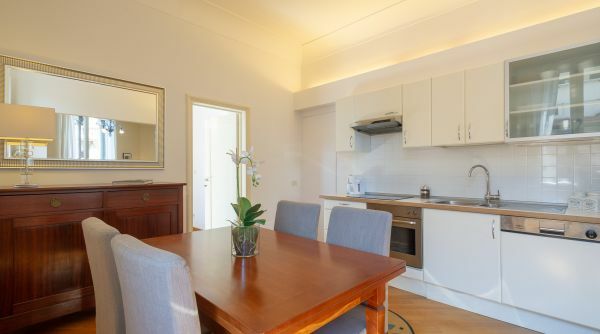 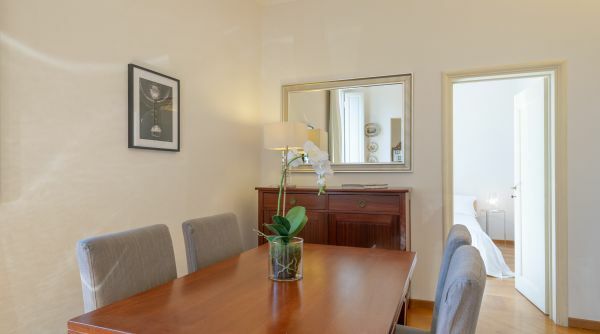 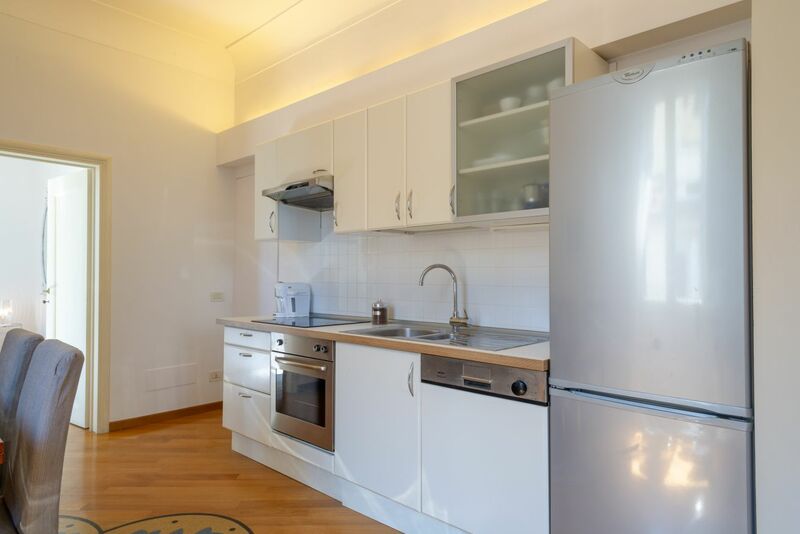 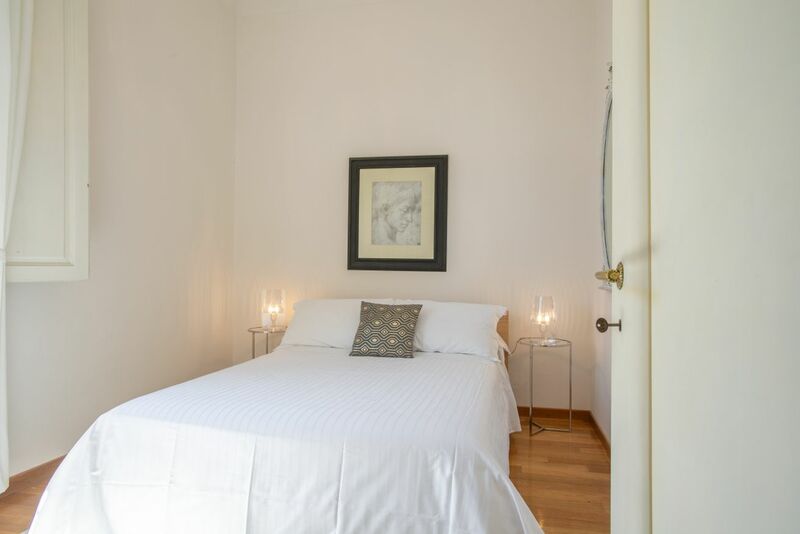 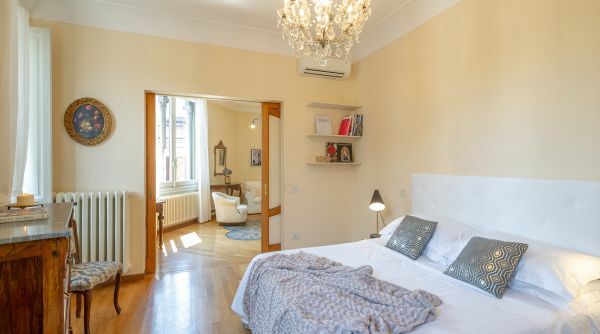 This property in the center of Florence is managed by the staff of Apartments Florence, to support the highest quality of service and assistance during your stay in Florence. 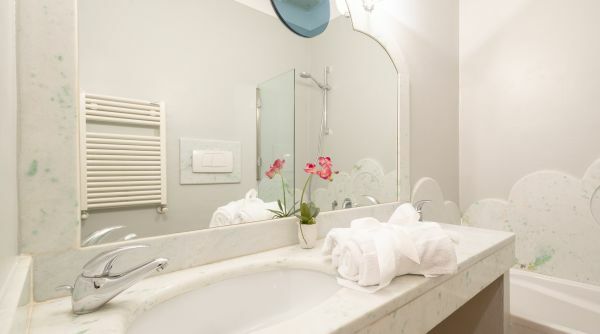 Check-in / check-out procedures, bed sheets, cleaning service, assistance and maintenance are provided by the Florence staff. 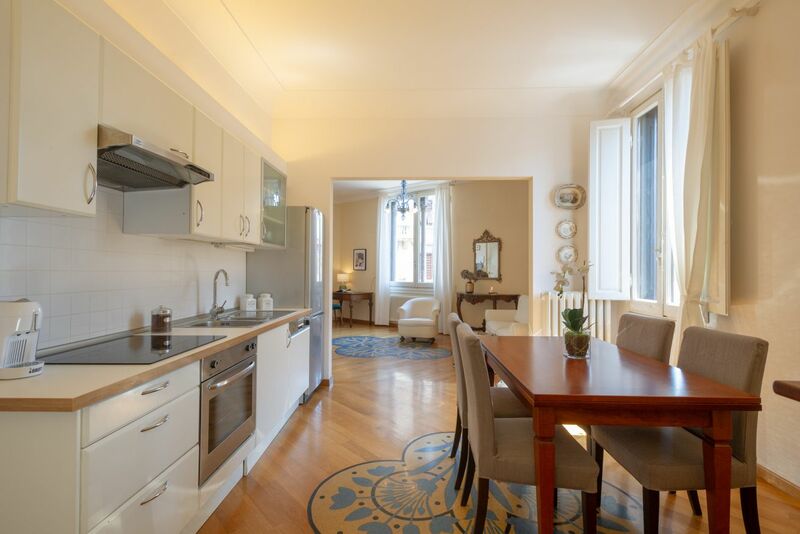 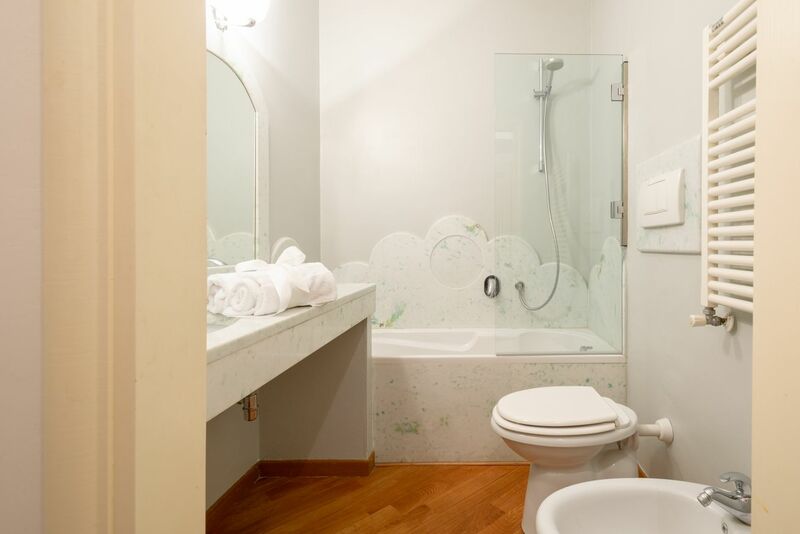 The value paid for this booking includes the services offered by ApartmentsFlorence.